Carnival of Venice is held annually in the winter, usually in February. There are many interesting events in Venice these days. Musicians and artists are performing on the streets. Carnival costumes wear not only city residents but also visiting the city tourists. Carnival costume can be rented in Venice. Carnival masks are on sale on the streets of Venice. Tere are especially many tourists in the days of the Venice carnival on the streets. 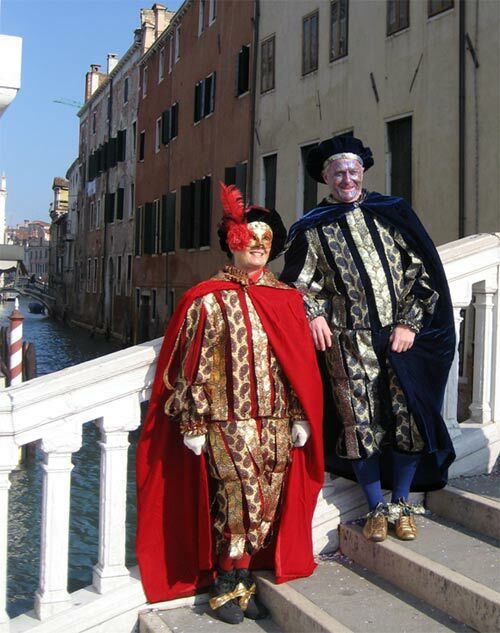 The photo shows people in carnival costumes in Venice. The photo was taken during a tourist trip to Italy.